In the interest of furthering our Diversity Strategic Action Plan, our Chairman became involved in the Leadership Council on Legal Diversity (LCLD). 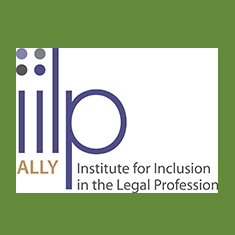 LCLD is an organization comprised of general counsel and law firm managing partners whose mission is to advance diversity in the legal profession. We participate in LCLD's 1L Individual Mentoring Program and Group Mentoring Program in Chicago, Charlotte, New York, Los Angeles and Washington, DC. The objective of the mentoring program is to ensure that diverse students accepted into law school receive the mentoring and preparation they need to maximize their potential in law school and through bar passage. Katten is the City Lead for both the 1L Individual Mentoring Program and the Group Mentoring Program in Chicago and Charlotte, with direct responsibility for implementing these programs in these cities. We also participate in LCLD's 1L Scholars Program, designed to strengthen the legal pipeline by expanding the number of opportunities for diverse first-year law students. Students have the opportunity to work side-by-side with attorneys and other legal personnel at LCLD member law firms and companies.